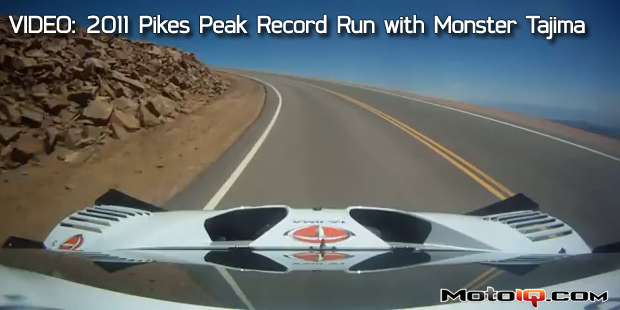 Last week Nobuhiro “Monster” Tajima achieved the holy grail of the Pikes Peak Hill Climb, breaking the 10 minute barrier for a run up the vaunted hill. What makes this iconic record even more notable is that this is probably the last year that the event will have a dirt section in the course. The mixture of dirt and tarmac is what has made the hill climb unique. The road is scheduled to be completely paved by next year so any subsequent record will not be quite the same. You can ride with Monster on the way to the record thanks to GoPro up the vaunted hill. Read about the technical details of Monster’s car here!